Daily practice is a part of many religions and spiritual quests. But the discipline of daily practices does not have to have anything to do with religion or spirituality. The self-discipline of having a daily practice is good for the mind, body and soul. My writing online is a daily practice that is spread around in a number of places. It is the best thing I have done in my life to improve my writing. I have tried daily writing practices before. William Stafford and other poets are known for their daily poems. It did that in 2014 with a daily poetry practice that I called Writing the Day. It helps that Stafford, when asked about how he could write a poem each day, replied that he lowered his standards. He didn’t write a gem every day. But he did write every day. This year, I still write poems and I still contribute weekly to that poetry blog, but my daily practices have changed. Maybe your practice is yoga, meditation, working in the garden, painting, or making time for serious reading. The list is long with possibilities. It takes discipline. I know that “discipline” has a bad bad reputation. It makes you think of school and getting sent to the principal’s office for detention. But discipline is good and necessary. As a teacher, applying what you learn is one of my top goals for my students. It’s also a goal that we should have in our non-academic life. When I was more seriously into meditation practice, it became important to me that the practice moved into some actions in my life. The idea of meditating peacefully on some hilltop or is some tranquil Zen monastery is very appealing. But it also seems very self-indulgent. Buddhism is generally not taught in America as a religion. Buddhist teachings are offered in a very practical, nonreligious way, and students of any – or no – religious background can benefit from learning them and putting them into practice. The institute operates under Zen Master Thich Nhat Hanh, the world-renowned meditation teacher, scholar and writer, and with Dharma teachers in the Plum Village tradition. People apply Buddhist teachings in such a way as to release tensions of the body, reduce bodily stress and pains, and in many cases alleviate not only symptoms but also underlying causes of illness. Can you pass on that knowledge and teach others to have a daily practice? I think that is the ultimate point of gaining the knowledge. I see yoga classes being offered everywhere from corporate centers to churches, hospitals, schools and storefront and formal fitness centers. It’s a 5,000-year-old spiritual practice. Healing yourself is good, but healing the world, or at least a small part of it, is better. I have been a teacher in schools for my entire adult life, but my sense of the “teacher” is not really connected to schools but to every experience. I have posted on another site about contemplative practices. 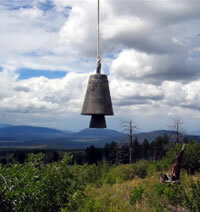 I posted something about a very simple and brief guided practice using a bell sound meditation. It takes five minutes to do. Everyone can do a daily practice that only requires five minutes. But that is still more time than many people seem willing to give to quiet contemplation. Even a daily practice of five minutes a day requires discipline. At the top of this page is the Tree of Contemplative Practices, which is a nice visual of seven branches of practices, that I found on the website for the Center for Contemplative Mind in Society. You can see that it ranges from quiet practices for stillness (sitting meditation; centering prayer) to movement (walking meditation; pilgrimage). These practices can be done alone, but most of them actually involve others (especially work and volunteering or storytelling), Some of these practices can produce tangible results. That might be music, art, a house, a sacred space, a journal or a dialog with someone. I know that many teachers of meditation will encourage you to empty your mind, but the “mindless” nature of my co-worker’s practice make me think it’s not a contemplative practice. You can add another level to an activity that seems mindless or just relaxing. For example, gardening is one of my favorite activities and I consider it to be a contemplative practice when I am conscious of an intention of cultivating awareness. I know someone who gardens as a way of developing a stronger connection with God. That’s different from just gardening. You can do it while sitting quietly, walking in the woods, watching a fire, gazing at the ocean waves or resting on the couch, but you have to move beyond the experience and the moment. It ever there was a film designed to be watched over again, it would be this film. I’m firmly in the camp that believes Groundhog Day is far more profound than you would think at first viewing. I don’t know that the filmmakers’ intended all of that, but it’s there. A. O. Scott in The NY Times did a re-review of this existential comedy (watch his video review) and that was enough to send me to the shelf to watch it again. I am not crazy in my belief that’s there’s more here than meets the viewing eye. Do a search on “Groundhog Day” and add something like philosophy, Buddhism, Zen, etc. and you’ll get plenty of hits of others who feel the same way. Harold Ramis (director and co-writer) has said that he gets mail from Jesuit priests, rabbis and Buddhists, and they all find meaning in the film , and use it in sermons, talks and classes. In Buddhism classes, it is often used to illustrate the cycle of continual rebirth. If you haven’t seen the film, here’s some background: Bill Murray plays a self-centered, cranky TV meteorologist named Phil who gets sent to to Punxsutawney, Pennsylvania to cover the annual Groundhog Day festivities. He is joined by his producer Rita (Andie MacDowell), and a cameraman Larry (Chris Elliott). He does a going-through-the-motions report. When they try to drive back to Pittsburgh, they are stopped by a blizzard (which he had predicted would miss the area) that shuts down the highways and they are forced to stay in town an extra day. 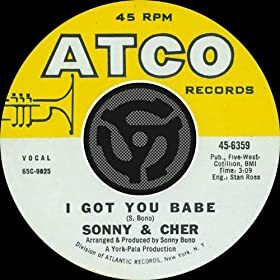 Phil wakes up at 6 AM to the clock-radio playing Sonny and Cher’s “I Got You Babe” and discovers that it is February 2 all over again. The day runs the same as it did before, but no one else seems to be aware of the time loop. And it happens again the next time he wakes up – and the next time and so on (38 times by my count). He realizes that he can use this to his advantage and begins to learn more about the townsfolk. He ‘s hardly noble. He seduces women, steals money, drives drunk and tries to put the moves on Rita (that last one fails). Each time I re-watch Groundhog Day , I think about another aspect of it. I keep thinking that some day I am going to teach this film in a course. A few years ago, I watched it and it led me to explore other movies and writings that play with time loops. There are a lot of them. Are some of us leading a kind of Groundhog Day existence for real? Other writers online have gotten far more serious in their explorations of the film than me. Once Phil realizes that in his Nietzschean quagmire there are no consequences to his actions, he also experiences modern philosophy’s liberation from any sense of eternal justice. “I am not going to play by their rules any longer,” he gleefully announces. His reaction epitomizes Glaucon’s argument in Plato’s Republic. Remove the fear of punishment, Glaucon argued, and the righteous will behave no differently than the wicked. I asked what the Reb thought was the turning point in the film. After watching it for the ninth or tenth time specifically to find where the third act begins, I concluded that it begins 4/5 of the way into the 103 minute film, at about the 80 minute mark. Phil is throwing cards into the hat, and Rita points out that the eternally repeating day doesn’t have to be a curse. Why did the writers use February 2, Groundhog Day, as the setting? I think because it’s such a nothing “holiday.” It has no religious connections, no cards, no gifts and very little tradition. And yet, it’s not just an ordinary day. The first time I saw the film (wow, almost 17 years ago), I thought that he would relive the day for 6 more weeks of winter. Later, I thought about the day and decided there was something about the end of winter, spring and rebirth going on in the story. The original idea for the story was supposed to have come from the book The Gay Science (The Joyful Wisdom) by Friedrich Nietzsche. In that book, Nietzsche gives a description of a man who is living the same day over and over again. The writer of the original script, Danny Rubin, said that one of the inspirational moments in the creation of the story came after reading Interview With the Vampire which got him thinking about what it would be like to live forever. Rubin and Ramis have both said that they avoided exploring the really dark side of Phil’s time looping in which he could done some horrible things without consequence, like murder. I have to add that the film is also funny and sweet. Funny is no surprise. Murray and Ramis teamed up for the film Stripes which is a great, silly comedy that I also love, and that has no philosophy or religious themes at all. The sweetness is all Hollywood. Phil does learn lessons. He befriends many of the townsfolk that he had mocked. He uses his knowledge to try to save lives and help people. And he finally knows how to treat Rita. His final TV report is a beauty that puts everyone in tears. The next morning he wakes and finds the loop broken. Now, what will he do with his new life? When the clock clicks over to 6 AM for you in the morning, what kind of day are you planning to make it?